The German Shepherd Dog is the one of the most adopted and famous breed through-out the world, popular for its intelligence, obedient behaviour, and guardian kind of instincts. They are children favorite and one of the best family dogs you could own. Our finest German Shepherd studs and stud services in the world! Kappel GSD Kennel is the best place providing some excellent GSD Breed in the world. We provide the best quality German Shepherd puppies for sale. At Kappel Kennel our males at stud are all excellent specimens of the GS Dog. We always import and breed the best quality dogs and use their qualities to make our breeding program better. Our world class German Shepherd import division from Europe import GSD puppies for sale come from parents that are "world Champions", and/or TOP VA's (Excellent Select) GSD's from Germany - THE BEST POSSIBLE RANKING in the world! The "Excellent Select" (VA) German shepherd dogs we offer and/or breed with are the "REAL VA (world champion), Excellent Select German Shepherd Dogs, RANKED IN GERMANY", not in US or Canada! Our headquarters is in Texas, USA. GSD Breeding Program: At Kappel Kennel German Shepherd Dog Breeder we breed the "west German" working show line German shepherd dogs to improve the world-class standards in quality, genetics, anatomy, conformation, disposition and health of our German shepherd puppy. At Kappel German Shepherds, we have the expert knowledge of the pedigree profile of our dogs, genetic research in temperament and psychological history profile, intensive health back ground information on key health issues, most of our German shepherd dogs are proven in all phases of "titling". Schutzhund - 1, 2 or 3. Breed Certification (approved for breeding by a breed warden). Show Certificates and/or show ratings (judged in Germany). Hips Certification - Hips certified. Our Dogs are registered with the American Kennel Club, and/or Purebred Kennel Club and the German Kennel Club (Verein für Deutsche Schäferhunde (SV) e.V). We offer world class import German Shepherd puppies with strict German SV Standards and working heritage set forth through the German Shepherd Kennel Club. We breed healthy parents having a lifetime health and breed value is the backbone to a healthy breeding program of superior breeding stock with one of the best and most successful German shepherd breeding programs in the world! Our breeding knowledge and expertise: As a professional German Shepherd dog Breeder we are aware that not all world champion German shepherds produce world class puppy all the time. We strongly belief that your chances will improve with an established German shepherd breeding pair as the foundation and the strength of your German Shepherd Puppy Breeding program. We research and study both parents, their offspring's, genetics, health and if possible any genetic faults in the life span of the German shepherd dog. We focus on many key points, but most importantly, the character behavior drive and character traits of the German shepherd dog must meet all phases of the sound temperament "CLEAR IN HEAD", trademark. This is a proven factor in the genetics of the pedigree of the German shepherd. The character is the fuel of the bloodline genes. Each dog is unique in a special and personal way. 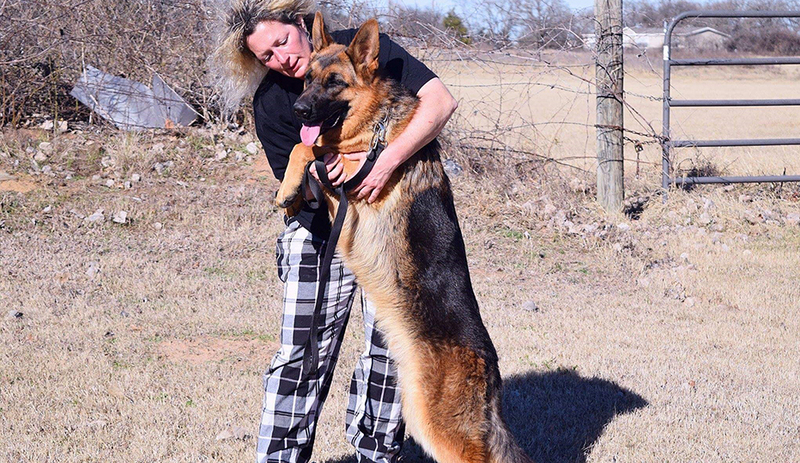 It is the "pedigree" and character behavior of the dog, the ability to be titled in all phases of Schutzhund, must be approved by a German shepherd breed warden "certified for breeding" and naturally "sieger show quality" with a show record, that makes the distinction when breeding or choosing your German Shepherd Puppy.